The Hollies are one of Britain’s best-loved groups. Their soaring, distinctive harmonies, brilliantly crafted songs, and cultivated musicianship; coupled with The Hollies extensive back catalogue of hits, has ensured the longevity of one of the greatest Pop groups to emerge from the early 1960’s British Rock revolution; when British Music first began to shake the world. With a track record as luminous and colossal as The Hollies’, it’s difficult to know where to begin. The band have released some of the best-loved pop songs ever: The Air That I Breathe, Long Cool Woman (In A Black Dress), Bus Stop, I’m Alive, Carrie Anne, the soul-stirring He Ain’t Heavy, He’s My Brother... the list goes on. From 1963 through to the mid-70’s, The Hollies had more hits than even the Beatles. In that period alone, they had 18 Top ten hits. 'He Ain’t Heavy, He’s My Brother' gave them another No 1 hit when re-released in 1988. 'I’m Alive' had been their first chart topper back in 1965. 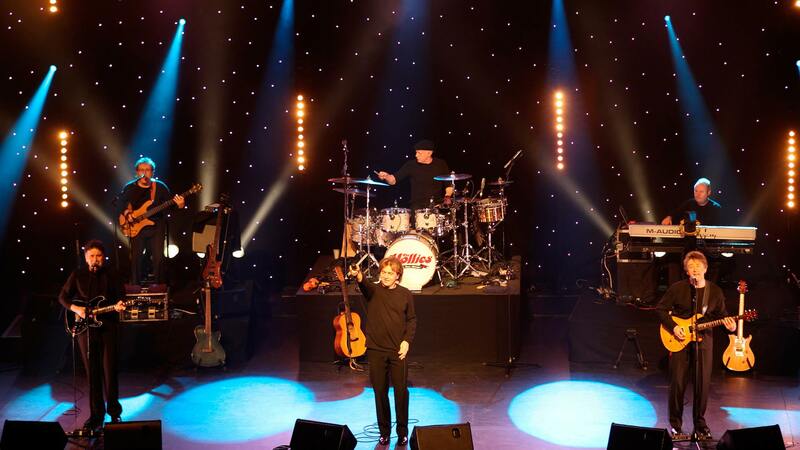 Today, at the heart of The Hollies since 1963 are original members: drummer Bobby Elliott and singer, songwriter and lead guitarist, Tony Hicks, bassist and singer, Ray Stiles, formerly with Mud. He has been with The Hollies for 30 years. Keyboardist Ian Parker, who has worked with Clannad and Chuck Berry has been in the group for almost as long. Guitarist/singer Steve Lauri is on the frontline next to lead vocalist, Peter Howarth.